It’s official. 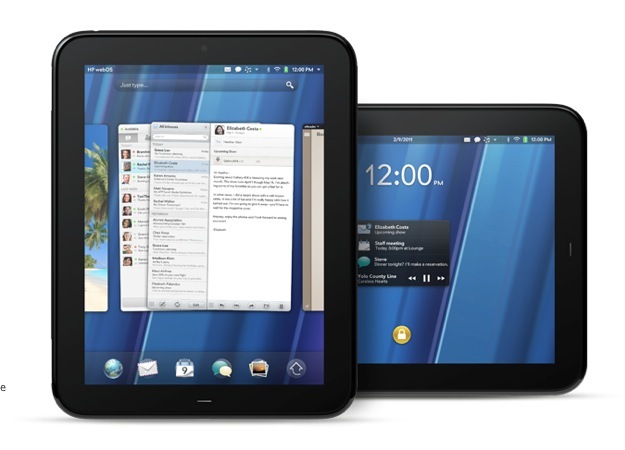 Palm’s new WebOS device is called the Touchpad. It has a 9.7-inch screen, front 1.3-megapixel camera, and comes in 16 or 32GB models. It runs a 1.2GHz Snapdragon Processor processor and the screen resolution is 1024×768. Designed by the “hundreds of talented programmers” on the WebOS team, the TouchPad is HP’s second slate of the new decade, the first being the HP Slate 500. 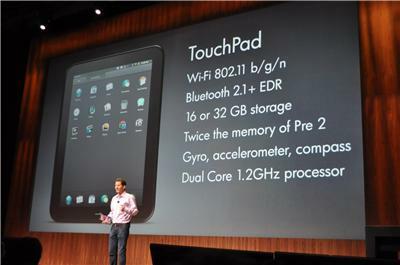 The TouchPad is Palm CEO Jon Rubinstein’s baby. WebOS suffered from a massive downturn when the company was sold a mere nine months ago and all of the hard work the Palm team put into it seemed for naught. However, the TouchPad points to a new direction for Palm and the WebOS’ unique “card” interface seems perfectly suited for a slate form factor. The device supports multi-tasking and Flash. It comes with Quickoffice and supports Google Docs, Dropbox, and Box.net for cloud file storage as well as HP Wireless Printer support. It also uses Skype for video calls. Note that is is almost exactly the same size as the current iPad, for comparison’s sake. 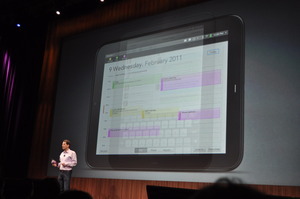 The device runs all of the standard WebOS PIM applications including Palm’s excellent mail app. 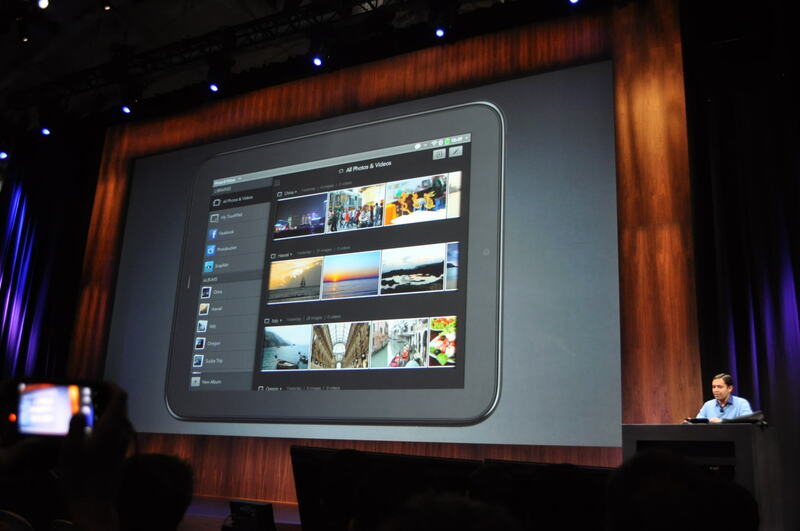 It also supports Flash out of the box, so all of your favorite websites (that use Flash) will work seamlessly.